Android™ is one of the most popular phones for mobile devices. It is installed in most of world's handheld devices with its popularity showing no sign of stopping. A lot of people carry phones powered by this amazing operating system. Whether it is a simple Chinese Tablet or a powerful phone not manufactured by Apple, Nokia or RIM, it will have Android in it. Android has seen different ports and versions in cell phones, tablets and phablets. There are for sure a large number of people who are interested to run Android in their computers as well. This has been made possible by a computer software which is known as BlueStacks App Player. 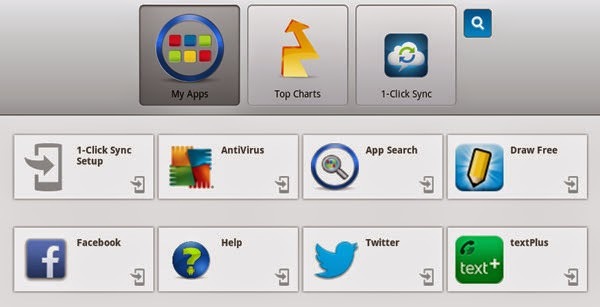 This BlueStacks App Player can be downloaded for free in your computer and after installing it, you will be able to use a version of Android right on your desktop. It supports multiple platforms such as Windows, Macs and even Windows Tablets. After installing Android in your personal computer, you will have opened the keys to a whole new world of applications and functions. You will be able to install all those apps that Android supports. Just think about it, you can install games like Angry Birds. You can even play those high resource requiring games that makes your phone cry out for resources. You can use all those productive apps or try out new apps that you may be installing in your phone in the future. Bluestacks app player runs in full screen on in a window mode. At first you have to login with your Android username and password. You can even create a new one if you want a separate account for use with BlueStacks. It's powerful app search engine works perfectly. You can navigate using your mouse while you can input using your physical computer keyboard or the on-screen keyboard. So give this app player/software a try. Install it in your PC and enjoy the benefits of Android right there on your desktop.